know what is going on, instantly! Whether indoor or outdoor your home, know what is going on instantly. All Forest Video System cameras will begin recording and storing video to the cloud, or to your NVR, if your alarm is tripped. You also have the choice to remotely view and record on demand. with professional installation so you don’t have to worry about a single thing. Video Recorder and two high quality commercial HD cameras. At Forest Security, our number 1 objective is to protect our clients. That’s why we recommend leaving nothing to chance by having the best and most comprehensive home security system available. In order to get you there, we recommend installing video monitoring systems either inside your home, outside or both. With video monitoring for your home the benefits extend far past the piece of mind that it brings. Don’t get us wrong, you’ll rest easy knowing that you and your family are safe and your home is secure regardless of where you are. Having a comprehensive home security system truly allows you to live in the moment. One of the best parts about Forest Security’s video monitoring systems is that all of our options include integrated Smartphone technology. This allows you to monitor your home at all hours of the day, every day of the year, anywhere in the world. Whether your making a quick trip to the grocery store or planning a two-week long family vacation, video monitoring keeps you up to date with what’s happening at home. Another great reason to add video monitoring to your home is for those “just in case” moments. While Forest Security’s home system can help deter burglaries, there is always the risk of an attempted break in. Whether they make it inside your home or not, having a video monitoring system will help. The burglar will be caught on camera and with Forest Security’s devices, the high quality picture can help lead to an arrest. Since police need high quality images in order to catch the perpetrator, it’s a great investment. Blurry, or low-quality images make it a lengthy, more difficult process. Make an investment on your safety today by opting to install Forest Security’s high-quality video monitoring system. The video monitoring systems that we have at Forest Security allow you to see what’s happening both inside and outside of your home at all times. You can seamlessly and easily integrate video access into your security alarm system or use it as a stand-alone monitoring system. All of the cameras at Forest Security are Internet Protocol (IP) cameras. What this means is that the cameras can send, and receive, video data through the Internet on your computer’s network. A lot of people compare this type of camera to a webcam, but IP cameras (or netcams) are specifically used for surveillance purposes. At Forest Security, we offer video recording for local, cloud or remote access along with analytics of the premises. Additionally, our video monitoring systems will give you insight on how to improve security of your home. All of our systems are hardwired with wires that are in conduit, giving you security that can’t be disarmed. 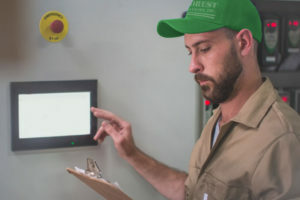 Additionally, Forest Security’s residential video monitoring systems include alarm and motion-triggered recordings for both indoor and outdoor options. Check out our cameras below. IP Fixed Lens – A fixed lens camera is a type of camera that has it’s settings permanently pre-set in a specific focal length and direction. The homeowner can’t adjust these types of cameras once they’ve been set, so you’ll want to make sure to discuss your specific needs in advanced with Forest Security. This way, the field of view can be pre-determined and installed depending on if you want a wide or narrow angle view. IP Pan/Tilt – Unlike the fixed lens, a pan/tilt video monitoring system gives you much more control. These are great for indoor monitoring as there are a lot more nooks and crannies that can fall outside of a fixed lens’ field of view. With a pan/tilt camera, you can control the movement both horizontally and vertically through your connected technology. This allows you a much wider range of flexibility for indoor video monitoring. The outdoor cameras that we provide at Forest Security are an IP fixed lens and video doorbell monitoring. Both of which are sure to heighten your home security. Read more about these options below. IP Fixed Lens – Like we mentioned, a fixed lens comes with pre-adjusted settings and cannot be changed once they’re installed. With Forest Security, our professionals can come to your home to do a walk through to determine the perfect field of view for your home. 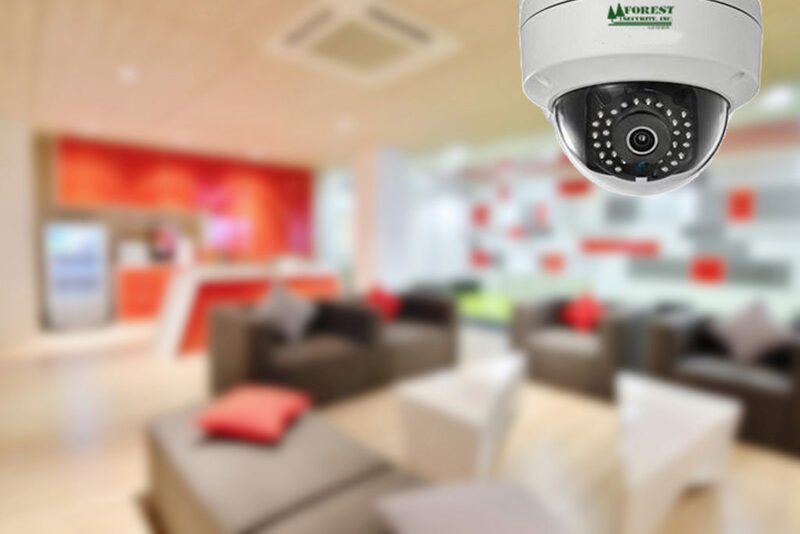 One of our highly trained specialists will also give you suggestions on the location for potential video monitoring and discuss whether or not you want to install multiple cameras. Our professionals care about you and they are standing by to respond to your needs. 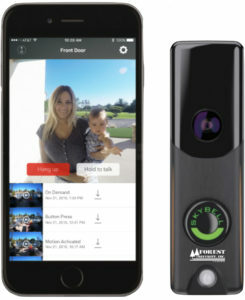 Video Doorbell – At Forest Security, we offer a Wi-Fi Doorbell Camera so that you can monitor who is at your front door. It includes PIR motion sensors, recordable doorbell triggered clips, digital microphone and speaker for two-way communication without having to open the door and the ability to set motion triggered automation rules. The best part being that all of this can be done directly from the mobile app at Alarm.com. The camera is high quality, 1080p, and includes night vision and real-time alerts. It’s the perfect addition to your video monitoring system. All of the video monitoring devices offered by Forest Security comes integrated with Smartphone technology. With one simple and easy to use app, you can monitor your live video feed along with any saved clips you have. With a secure offsite video storage, you don’t ever have to worry about loosing anything. Everything is accessible on your phone without taking up device storage space. 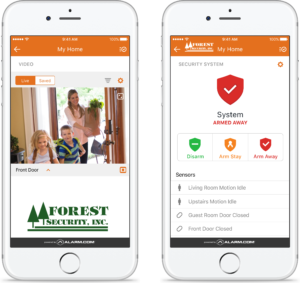 Our integrated Smartphone technology also allows you to connect your other Forest Security home security devices for the upmost convenience. Ask one of our representatives for more details today. The way that Forest Security’s video monitoring packages work is simple. The IP cameras are optimized and connected through your computer network using the network router. This router connects the camera to your Internet provider, allowing the transfer of digital images and recordings to Alarm.com. At Alarm.com, our Network Operations Center works to monitor and distribute footage. Using the Smartphone technology offered by Forest Security, you can have real-time alerts sent directly to your Smartphone or computer. When your camera is initially set up, you’ll also gain access to remote web control. That’s it. If it’s a bit confusing to understand, don’t worry. 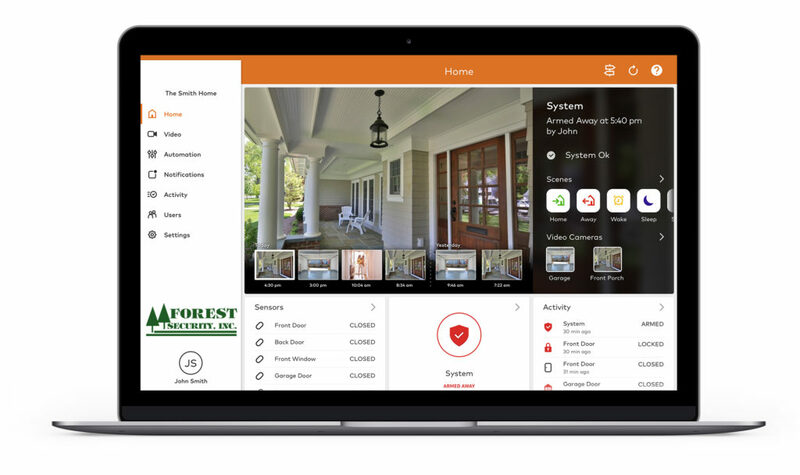 The team at Forest Security will make sure that your system is set up and will walk you through connecting all of your devices. There are a lot of security systems on the market and way to many companies to count. The problem with the other guys is that they’re missing The Forest Difference. We take pride in our work and our team is dedicated in protecting our clients. Everything that we do at Forest Security is done with the client in mind. That’s why we make sure that each and every order is customized to fit the client’s needs perfectly. After one of our highly trained security expert professionals has determined your perfect home security package, they will stand with you throughout the entire process to explain everything about your new system and answer any questions you may have. Additionally, every package comes with professional installation so that you can make sure your security system is up and working the same day you receive it. Forest Security is a family operated business, which means that when you work with us you’re joining our family. We’re here for you through any bumps and hiccups along the way. We’re so dedicated to our clients, that we offer 100% satisfaction guaranteed on all of our products. 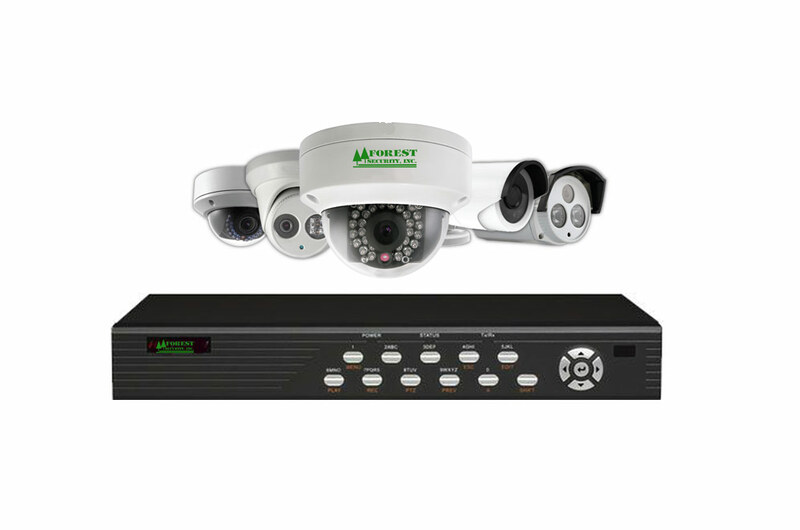 If you’re ready to install a comprehensive video monitoring system on your home, give us a call at 708-452-2000.